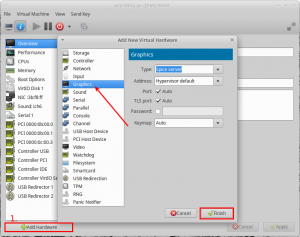 In this post, I compare several options of how to get the sound output from an KVM virtual machine guest, back into the host. I will compare spice server, pulse audio and a hardware solution. The complete guide on how to setup a virtual machine with GPU passthrough in Ubuntu 16.04 can be found here. I have tried the first two options running the Kernel 4.15.4 under Xubuntu 16.04 on the Host, and Windows 10 on the guest. The Host runs an Asus Xonar DGX 5.1 PCIe sound card. 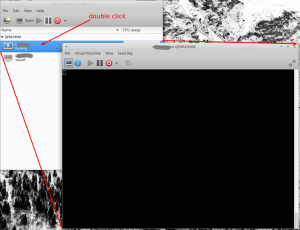 For both options, I had to add an Sound ich6 device to the VM via the virtmanager GUI. A common issue with sound passthrough between guest and host is lagging or chopped up sound playback. 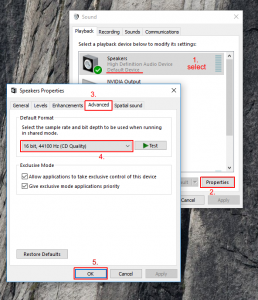 In order to fix this make sure the host and the guest use the same default playback sample rate. (+) Very good for first setup of the VM OS. (-) adds an extra display to the VM. This one is pretty straight forward, open the info page of the VM on virtmanager and add an spice server. Adding the spice server adds actually several devices to the VM config, one for example is an display. In order to here sound, I have to open the VM while it is running (I hope the sentence make sense 🙂 ). Basically it is double clicking on the running VM in the virtmanager list. represents your user-id, 1000 is the default (one user) Id. Attention: Make sure <devices> and <qemu:commandline> have the same intent. Remark: The <qemu:commandline> part can hold further options, simply append the sound options if others were already present. 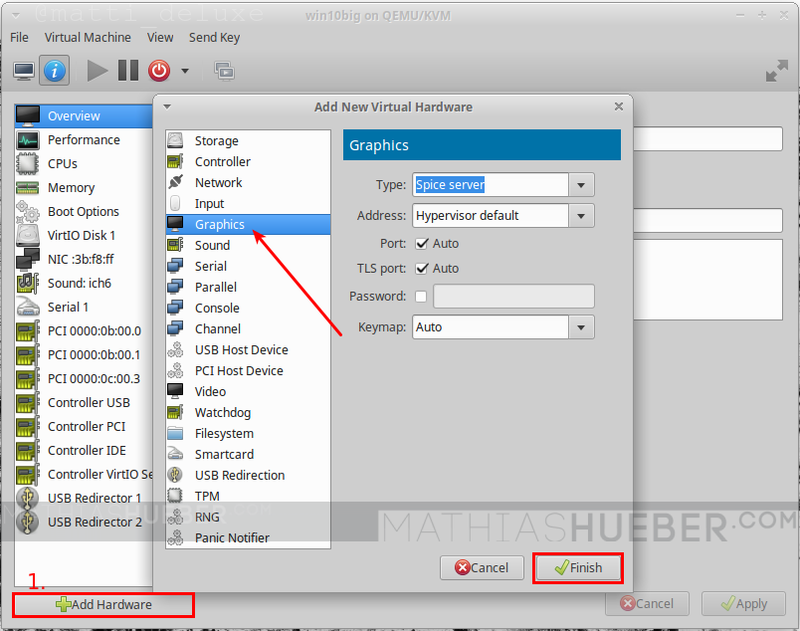 As said before, add a sound “ich6” device to your VM. If the sound distortions occur, make sure host and guest run at the same sample rate. You can also play around with QEMU_PA_SAMPLES and QEMU_AUDIO_TIMER_PERIOD values (see the reddit post(s) from the sources for further information). 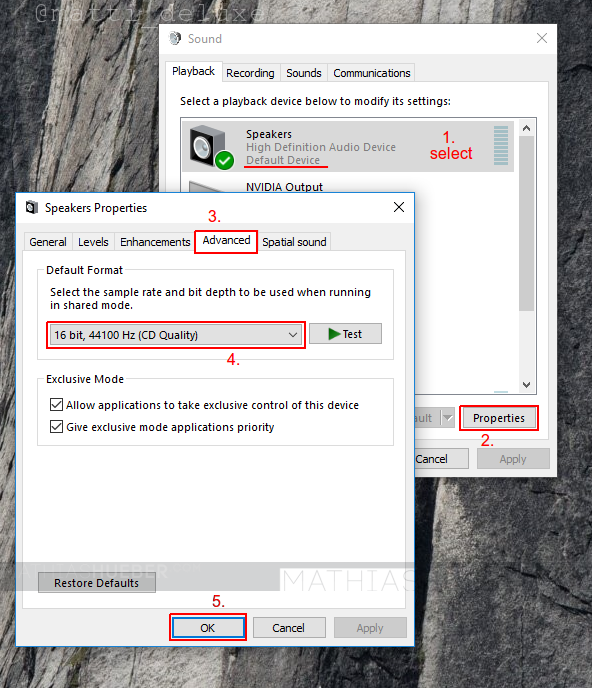 I haven’t tried this, but it should be easily possible to add an USB sound card to the guest and run the output back into your host soundcard via an real audio wire (connecting guest line-out with host line-in). Cheers mate, worked like a charm!